Dr. Jeff Kaku is a native Californian. 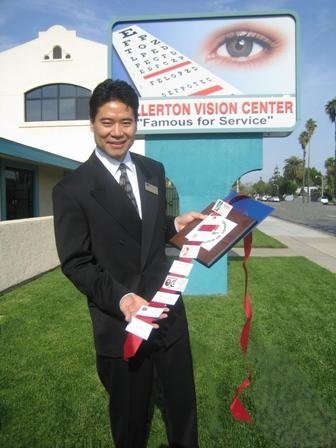 After his undergraduate studies at the University of California Los Angeles, Dr Jeff received the Doctor of Optometry degree from the Pennsylvania College of Optometry in 1987. Dr. Jeff received training in retinal and corneal pathology at the Veterans Administration Hospital in Portland Oregon. He has served on a variety of investigational committees and has been practicing for 21 years. His practice specializes in diagnosis and treatment of ocular infections, the fitting of toric and multifocal lenses, pediatrics, treating/monitoring glaucoma, diabetes and cataract patients. Dr. Jeff has been active with both the Fullerton Lions Club and Fullerton Kiwanis. When he's not working, Dr. Jeff can be found spending time with his wife and three children.